12/15/17 Toyota motor engineering & manufacturing (toyota) is recalling certain 2016 prius vehicles. a capacitor within the hybrid system may not have been properly bolted to the inverter housing. 11/10/16 Toyota motor engineering and manufacturing (toyota) is recalling certain model year 2016 toyota prius vehicles manufactured november 30, 2015, to june 14, 2016. an air bag inflator manufacturing error may result in the inadvertent partial inflation of the front passenger air bag. 03/21/14 Toyota is recalling certain model year 2010 through 2014 prius vehicles. in the affected vehicles, the intelligent power module (ipm) inside the inverter module (a component of the hybrid system) contains transistors that may become damaged from high operating temperatures. if this occurs, various warning lamps will be illuminated on the instrument panel and the vehicle will have reduced power allowing it to only drive a short distance. 08/07/13 Toyota is recalling certain model year 2010 prius vehicles manufactured march 31, 2009, through october 9, 2009; and model year 2010 lexus hs250h vehicles manufactured june 19, 2009, through october 9, 2009. nitrogen gas from a component of the brake booster pump assembly could leak into the brake fluid. 01/17/13 Toyota is recalling certain model year 2004-2009 prius vehicles manufactured august 6, 2003, through march 30, 2009 and fchv-adv vehicles manufactured december 12, 2008, through september 13, 2011. during manufacturing, a scratch may have occurred inside of the electrically driven water pump at the coil wire. the coil wire may corrode at the scratched portion. 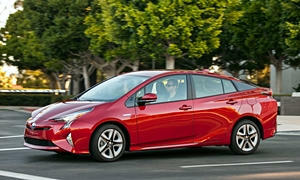 03/03/10 Toyota is recalling certain model year 2010 toyota prius and lexus hs250h passenger vehicles. customers have experienced inconsistent brake feel after abs actuation during slow and steady application of the brakes on rough or slick road surfaces. stopping distances may be increased compared with a customer's expectation for a given pedal force. Toyota recall no. aob lexus ala.owners may also contact the national highway traffic safety administration's vehicle safety hotline at 1-888-327-4236 (tty 1-800-424-9153), or go to http://www.safercar.gov . 10/27/00 Vehicle description: passenger vehicles. insufficient electrical contact can occur in the torque sensor that controls the power assist operation of the electric power steering gear box. the torque sensor could send improper electrical signals. 01/17/13 Engine Toyota is recalling certain model year 2004-2009 prius vehicles manufactured august 6, 2003, through march 30, 2009 and fchv-adv vehicles manufactured december 12, 2008, through september 13, 2011. during manufacturing, a scratch may have occurred inside of the electrically driven water pump at the coil wire. the coil wire may corrode at the scratched portion. 07/26/06 Engine On certain passenger vehicles, due to improper molding of the resin body of the crankshaft position senor installed on the engine block, engine oil may penetrate the seal and enter the sensor wiring connector. the wire harness connector may not be sufficiently attached to the locking tab of the sensor wiring connector. Engine oil inside the sensor wiring connector could cause expansion due to the heat of the engine and could deform the sensor wiring connector. the connector may become disconnected, which could cause the engine to stall while driving and not be able to be restarted increasing the risk of a crash. Dealers will replace the crankshaft position sensor free of charge. the recall began on july 26, 2006. owners may contact toyota at 1-800-331-4331. Toyota recall no. ssc 60g.customers may also contact the national highway traffic safety administration's vehicle safety hotline at 1-888-327-4236 (tty 1-800-424-9153), or go to http://www.safercar.gov. 11/10/16 Brakes and Traction Control Toyota motor engineering & manufacturing (toyota) is recalling certain model year 2016-2017 prius vehicles manufactured august 6, 2015, to october 3, 2016. the affected vehicles are equipped with a foot-operated parking brake system that has a parking brake cable that may disengage. 12/20/12 Suspension and Steering Toyota is recalling certain model year 2004-2009 prius vehicles manufactured august 5, 2003, through march 30, 2009. the affected vehicles have a steering intermediate extension shaft assembly built with metal splines that complete the connection from the steering wheel to the steering gear. these splines may have been manufactured with an insufficient hardness. 07/08/11 Suspension and Steering Toyota is recalling certain model year 2001 through 2003 prius passenger cars manufactured from january 28, 2000, through may 30, 2003. the steering linkage may loosen, resulting in reduced electric steering assistance when making a left turn. Loss of power steering, particularly when an operator is actively intending to steer the vehicle, may increase the risk of a crash. Toyota will notify owners and dealers will replace the nuts in the steering linkage free of charge. the safety recall began on july 8, 2011. owners may contact toyota at 1-800-331-4331. 06/09/06 Suspension and Steering The intermediate shaft and sliding yoke in the electric power steering system can crack when large forces are applied and the connection may separate or the sleeve may fracture. This could result in a loss of steering control of the vehicle. Toyota will replace the steering intermediate shaft and inspect the sliding yoke and replace it if necessary. the recall began on june 9, 2006. owners may contact toyota at 1-800-331-4331. Toyota recall no. 60c.customers may also contact the national highway traffic safety administration's vehicle safety hotline at 1-888-327-4236 (tty 1-800-424-9153), or go to http://www.safercar.gov. 03/30/18 Electrical and Air Conditioning Toyota motor engineering & manufacturing (toyota) is recalling certain 2016 toyota prius and lexus rx 350, rx 350 f sport, rx 450h f sport and rx 450h vehicles and 2015-2016 lexus nx 200t, nx turbo and nx 300h vehicles. the air bag pressure sensors and/or the acceleration sensors may fail causing the side/curtain shield air bags and/or the front air bags to not deploy in the event of a crash. 10/17/16 Electrical and Air Conditioning Toyota motor engineering & manufacturing (toyota) is recalling certain model year 2010-2012 toyota prius, 2010 and 2012 toyota prius plug-in hybrid, and 2011-2012 lexus ct200h vehicles. a weld in the curtain shield air bag inflator may crack causing one or both portions of the inflator to eject into the passenger cabin. 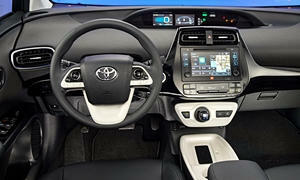 03/21/14 Electrical and Air Conditioning Toyota is recalling certain model year 2010 through 2014 prius vehicles. in the affected vehicles, the intelligent power module (ipm) inside the inverter module (a component of the hybrid system) contains transistors that may become damaged from high operating temperatures. if this occurs, various warning lamps will be illuminated on the instrument panel and the vehicle will have reduced power allowing it to only drive a short distance. 12/20/04 Electrical and Air Conditioning Certain passenger vehicles may be equipped with an improperly designed brake light switch. a silicon oxide build-up occurs on the contacts inside the brake light switch, which can make it inoperable. If the switch is inoperable, the brake lights will not illuminate and can increase the risk of a crash. Dealers will replace the brake light switch. the recall began during december 2004. owners should contact toyota at 1-800-331-4331. Toyota recall no. ssc 40/lexus recall no. ssc 4lh.customers can also contact the national highway traffic safety administration's auto safety hotline at 1-888-dash-2-dot (1-888-327-4236).